Neck pain is the second most common complaint we treat. Most neck pain is overwhelmingly the result of poor postural habits and lifting strategies. 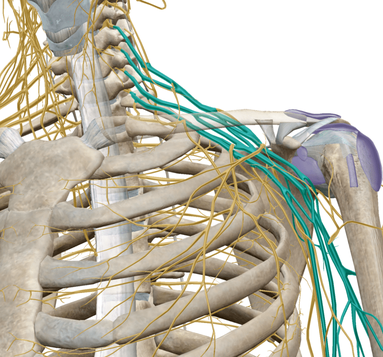 The pain we feel — whether in the neck, the shoulder(s), or down the arm(s) — is the body’s request for change, not an indication something is broken, needing to be “fixed.” By taking the time to understand the problem and how it behaves, we can apply the right tool for the job — only then can we achieve a solution. Neck pain is most commonly of mechanical nature, meaning how we move and use our body. If your neck pain changes — for better or worse — with varying movement and positions accompanied by stiffness or loss of range of motion, you likely are suffering from mechanical neck pain. Acute neck pain is an episode lasting no longer than six weeks, which is more common than chronic neck pain lasting longer than three months. Because the nerve supply to your arms stems from the spinal cord within the spinal column, poor spinal mechanics can alter the signals from your brain to the muscles. It is not uncommon to experience symptoms such as pain, muscle weakness, or numbness and tingling anywhere down your arm(s), with or without local neck symptoms! Mechanical neck pain does not have to be debilitating. Just because you have neck pain doesn’t mean you need an MRI. Just because your MRI shows “degeneration,” “disc bulges,” or “arthritis,” doesn’t mean it’s generating your pain. And just because you have neck pain does not mean you’re broken, needing to be “fixed”. Neck pain is often unassociated with aforementioned structural changes commonly found from imaging, e.g. X-ray, CT scan, MRI. Furthermore, there’s a high prevalence of interpretive errors between radiologists. So, not only does imaging your spine result in a high rate of irrelevant findings, the professionals interpreting them cannot concisely agree upon diagnoses! We have assessed and successfully treated many medical diagnoses where the source of the problem is located at the spine. In rare cases, neck pain can indicate a serious medical problem requiring immediate attention. If you experience dizziness, double vision, difficulty speaking/swallowing, direct trauma, or unexplained weight loss accompanied by neck pain, seek immediate medical attention. The most common treatments are rest, medication, physical therapy, chiropractic, acupuncture, massage, and other various conservative therapies. While most acute bouts of neck pain will resolve on their own within a few weeks, the risk of recurrence is very high. The greatest risk of injury is the previous injury — if you’ve done it once, it’s very likely to happen again. Few individuals need surgery for neck pain. Have a disc bulge? Even if it’s relevant, disc herniations have been shown to resolve on their own without surgery. If you have intense and unrelenting radiating pain down the arm with progressive muscle weakness, or specific structural problems not responding to conservative therapy, surgery may be warranted. STILL STRUGGLING WITH NECK PAIN? WE CAN HELP! REACH initiates treatment for neck pain by utilizing the Mckenzie Method (MDT). MDT is a proven system of examination, treatment, and classification of spinal, joint, and other musculoskeletal pain, backed by years of research, evidence, and practice. The System has been shown to be low cost, fast, and effective even for chronic pain. If a mechanical force caused the problem then it is logical that a mechanical force may be part of the solution. The MDT system is designed to identify the mechanical problem and develop a plan to correct or improve the mechanics, thus decrease or eliminate the pain and functional problems. Further, the system tells us what treatment tool to use at the appropriate time, eliminating the guessing game. Sick of suffering the same old symptoms, but not sure if we can help? Schedule a courtesy call to ask a REACH Doc. We’ll lead you in the right direction!